Registration is now closed - the next season of Spring Ahead will be available March 2020.
hidden – Join the 2019 Spring Ahead Facebook group for updates, information and motivation. Start running and complete a 5k race! Get a running start on achieving your 2019 goals! 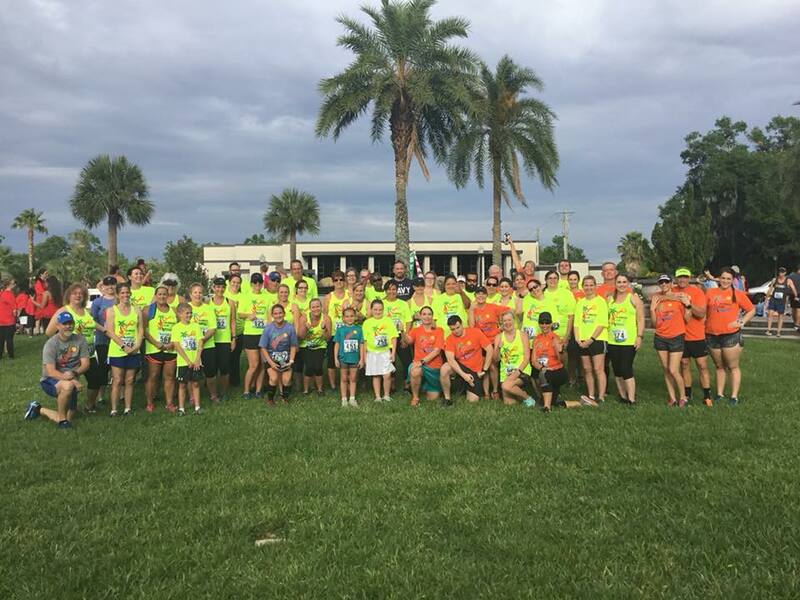 Join us for the Spring Ahead 5k training group for a 10-week program that culminates in running the MIDFLORIDA Mayfaire 5k at Lake Mirror, on Saturday, May 11, 2019, at 7:00 pm. This program is designed for beginners to gradually build up their running ability so that they can complete a 5k (3.1 mile) race. Saturday group workouts led by an RRCA certified coach and trainers from the Lakeland Runners Club. *Spring Ahead members receive the training group shirt in lieu of the LRC club member shirt. It’s the perfect preparation for your first 5k. Our events & programs are possible with the financial support of wonderful community partners. Find out more about the benefits of advertising with the Lakeland Runners Club in our 2019 Annual Sponsor Packet. Sponsors of The Lakeland Runners Club, Inc. help us promote running in our community. We hope you support them in return. Copyright © 2019 Lakeland Runners Club, Inc.